Caption: Zulekha Hospital Sharjah will host a blood donation camp on Monday 3 August in association with Sharjah Blood Transfusion & Research Centre, Ministry of Health. Zulekha Hospital Sharjah is encouraging the public to volunteer and donate blood to a donation drive in association with the Sharjah Blood Transfusion and Research Centre, Ministry of Health. The ‘Donate Blood. Save Life’ campaign runs on Monday 3 August, 9am to 2pm in the former facility parking premises of Zulekha Hospital Sharjah. Participants can donate their blood aboard a fully-equipped blood donation bus which has been refurbished with state-of-the-art healthcare facilities, specifically designed for giving blood. “Blood donation drives are incredibly important to the running of our hospital, and our aim here is to receive blood from more than 100 donors,” said Zanubia Shams, CEO of Zulekha Hospital. “We want to drive home the message to individuals that there is a constant need for blood donation and it is within us all to help save the lives of those living among us. This is a public duty which can have a lasting impact on our community. Staff members from various departments and management of Zulekha Hospital will also be part of those volunteering for the initiative alongside associates of the hospital who have been invited and encouraged to support the cause. Zulekha Hospital welcomes anyone with the will and ability to donate blood. Donors should not be fasting, must fall between the ages of 18 to 65 years and weigh no less than 55kg. Those who have visited countries such as India, Pakistan, Bangladesh, East Asia and Africa in the past year are not eligible to donate. The hospital ensures the blood collection process is conducted under expert supervision and hygienic conditions. 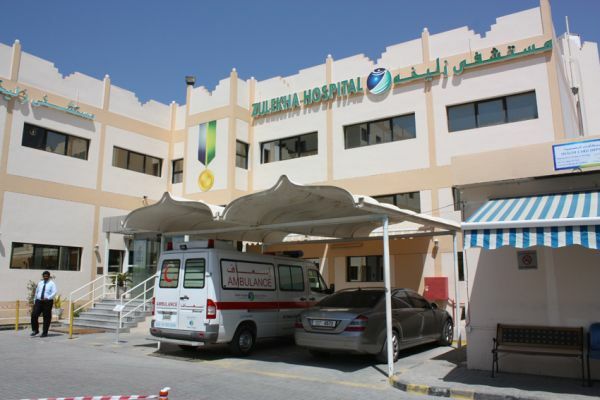 As one of the forerunners in UAE healthcare, serving both local and international communities, Zulekha Hospital understands the ongoing demand for blood which is proportionate to the fast growing population of the Emirates. The hospital is frequently playing its part towards society and most recently spearheaded a new cervical cancer screening and prevention initiative to help reduce the incidence of the disease and save lives across the Emirates. To take part in the blood donation camp, pre-registration is required by calling +971 50 388 5359, +971 6 565 8867 or emailing Afreen Khanam at akhanam@zulekhahospitals.com. Zulekha Healthcare Group celebrates "Peak Hour"